When people talk about MP3 files and the like, you often hear the term Bit Rate also mentioned, so what’s it all about? Until the mid 1980s, commercially purchased music was always in analogue format, be it typically vinyl or cassette. In late 1982, the arrival of the now ubiquitous compact disc (CD), co-developed by Sony and Philips, changed all that and revolutionised how we listen to music. In order to create digital recordings such as CDs, the conventional analogue audio first has to be digitised. The process of digitisation takes the original audio source and chops it up into lots of thin slices. Each slice represents the volume of the audio source for a particular point in time. A digital number then stores the volume level of this slice on the CD. Each slice, or sample as it’s actually called, represents the level of the audio for a mere 23µs (23 millionths of a second). To reconstitute the audio track, all of these samples are stuck together and the volume level of each sample is sent out to your speakers every 23µs (in the case of CDs). It’s a bit like slicing a loaf of bread and then squeezing all of the slices of bread together again to make it look like the original loaf. Not perfect, but if you squint, you’d never know that difference. CDs are very similar, because the slices are so thin, you don’t know the difference. The rate at which we take the samples and replay them is called the sample rate. For CDs, 44,100 samples are taken every second! Now, because we have to store the value of every sample, it follows that higher sample rates would require a lot more storage, which can become a problem. Conversely, a higher sample rate directly equates to a more accurate representation of the original signal, and therefore better audio quality. So, ultimately compromises have to be made and a 44,100 sample rate was deemed to be a sensible compromise when CDs were developed. Now we have an overview of sample rates, we are in a good position to discuss bit rates, as the two are inextricably linked. Each sample we discussed above is represented by a digital number and every digital number is made of digital bits; there’s the magic link! A bit is a single digit, either a one (1) or zero (0). In the case of our CD, each digital number comprises 16 bits, which allows numbers up to 65,563 to be stored; over 65,000 different volume levels! As we have two ears, we need to store two sets of samples, one for each ear; stereo. We have now calculated the bit rate for the standard CD, which turns out to be 1,411 kbps. If we used a 1 GB MP3 player to store music at the above bit rate for example, we would only be able to store 100 minutes of music; not very much! This is why MP3 was invented, as a way of reducing the amount of space that music needs when stored on a computer or music player by squashing, or compressing, the original CD audio data to save space. There are numerous compression systems available, with MP3 being the most popular, but they all aim to provide the same result; significantly reduce the audio file size. How the compression works is somewhat beyond the scope of this article, as it uses a lot of complicated mathematics to work out which bits of the music we can hear, and which bits we can’t. Essentially it saves space by not bothering to store the bits of the music that we can’t hear. For example, if you have a Heavy metal band playing with the volume turned up to 11 and someone at the back of the stage taps on a triangle, you are unlikely to hear it. So MP3 decides that the tour bus is too full and fires the triangle player, saving space and reducing the queue to the bathroom at the same time! During this compression process, typically 90% of the data is thrown away, leaving file sizes about one tenth of the original size, which in turn means that your MP3 player (or iPod for the image conscious types) is able to store ten times the number of songs compared to if it had to store the original uncompressed CD data. Now that we have reduced our file size to approximately one tenth of its original size, we only have one tenth the number of samples and so consequently only have to send them out to our speaker system at one tenth the original rate, i.e. our bit rate is ten times slower. A typical bit rate for good audio quality would be around 128 kbps (kilo bits per second, or thousand bits per second), approximately one tenth of the bit rate for the standard CD. Unfortunately compression system have limitations, the more data they throw away, the smaller the file size, the lower the bit rate, but the worse the audio quality, or to use the band analogy above, more and more members of the band get thrown off the bus, so there are less musicians to make the music. Now it all makes sense, I myself was one of the first users of tag equipment in the UK (I still have my HiFi set up) I have heard people talk about MP3 and how easy it is to use (I think they mean cheap) your clear, uncluttered explanation is very easy to grasp. My tag system still sounds very good however I am under pressure to change to a 5.1 system linking it to a Kuro plasma TV. When we convert from mp3 to WAV, is the quality going to be restored, given that there is the option to select frequency and bitrate? 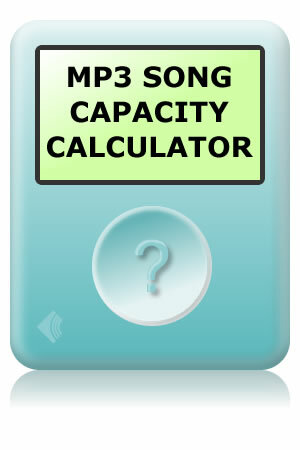 Or it’s not possible since the mp3 file is missing too much data to begin with? Hi, Converting from MP3 to WAV will NOT restore the quality unfortunately. You are correct that the MP3 has been created by throwing away a lot of data that can never be returned. Thanks for a very clear article. I always wondered about the difference between bit rate and sample rate. You might want to consider adding a paragraph dealing with high resolution music. I recently downloaded (just for fun) some songs from HD Tracks at 174.4khz and 24 bit. The bit rate, using your calculation, would be 8,467kbps, or 6x as much resolution as a CD. I would love to listen to a stereo (if there is one) on which I could hear the difference between this and a CD. Thanks Sean, it’s always nice to know that an article has helped someone. It has long been proven that differences in production (mixing, mastering) are far more audible than the difference between digital formats themselves. Before releasing that high-res example, the reissue of “Nevermind” had all the dynamic range compressed and brickwalled out of it. This is so high-res could be marketed as having this huge audible improvement over the original lossless file. Very true, the loudness wars have done a lot of damage to the quality and listenability of music in recent years, but hopefully the trend will reverse and the new loudness normalization approaches being adopted in broadcasting may help with this process. Beg to differ, but 128kbps for MP3 is repulsive! It barely satisfies my standards for spoken word content. My nominal bit rate is 192kb – constant or variable depending upon the project. And that’s just my minimum. Some people would easily be able to tell the difference and others less so. If you’ve got good “ears” and the differences are that obvious to you, then absolutely slide the bit rate up until you get to a level that you find difficult to tell the difference. Out of interest I rip my music to 192kbps.